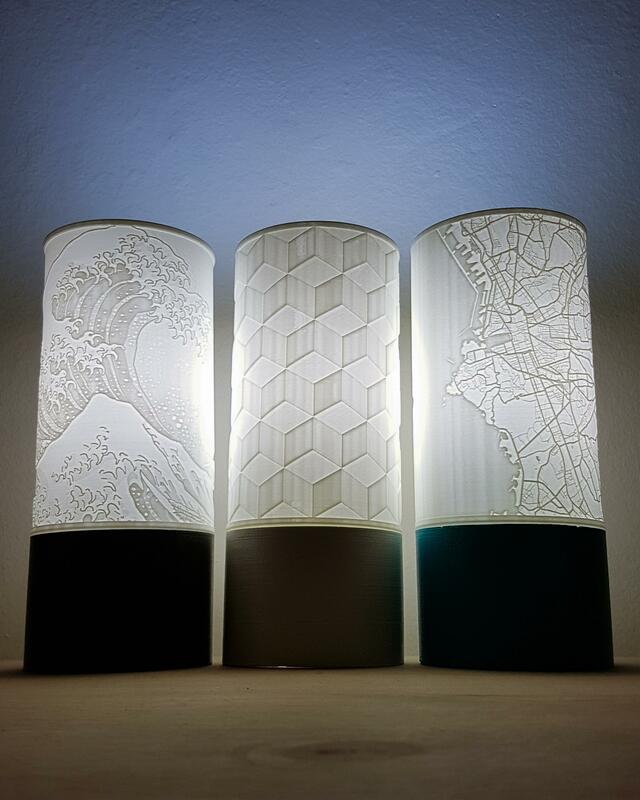 A series of lamps based on the principle of lithophane. 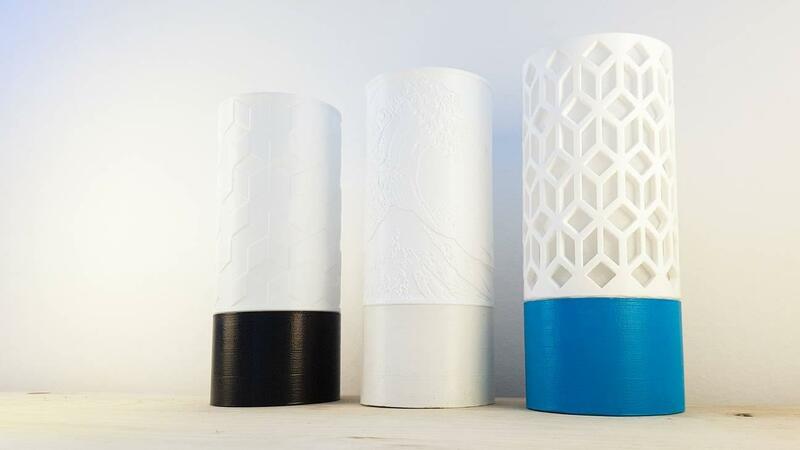 An experiment mixing concrete and 3D printing, to create lamps with a minimalist and refined design. A way of playing with the textures and the thickness of the material, to create effects of transparency to let appear images and patterns thanks to the light. 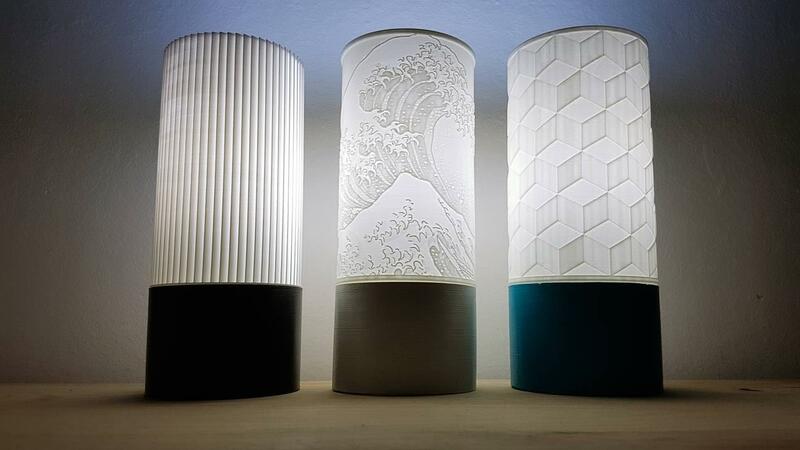 **Lithophanes **– They are 3D printed, and are grouped into several themes: Geometrical, which is inspired by traditional Japanese patterns. 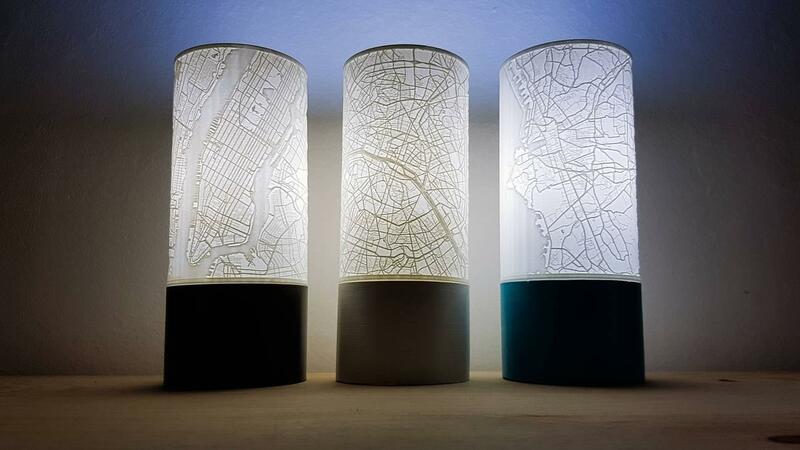 Cities, which is based on the maps of major cities of the world like Paris, Marseille, London or New York. 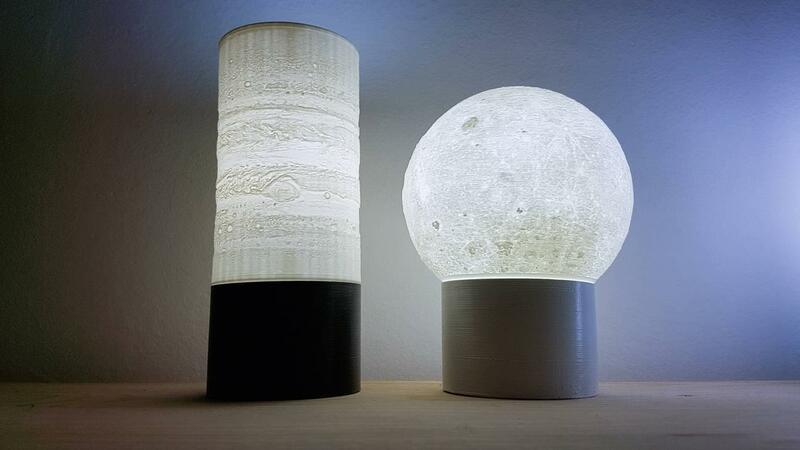 Space, representing the Moon or the storms of Jupiter according to the HD photos from NASA. And Kanagawa, paying tribute to the famous print by Hokusai. 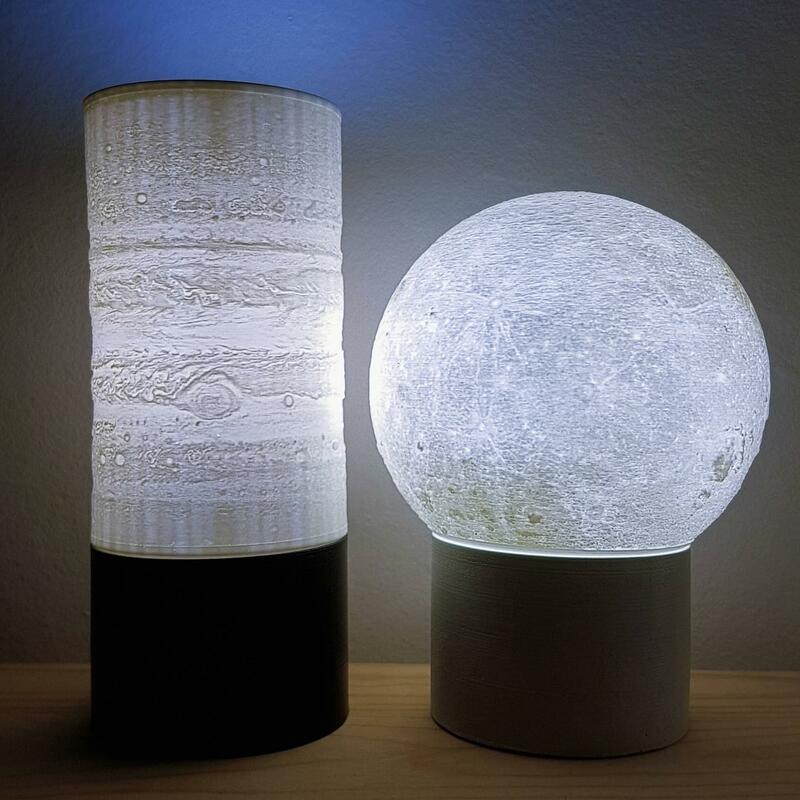 The lamps – The lamps are made of white concrete. 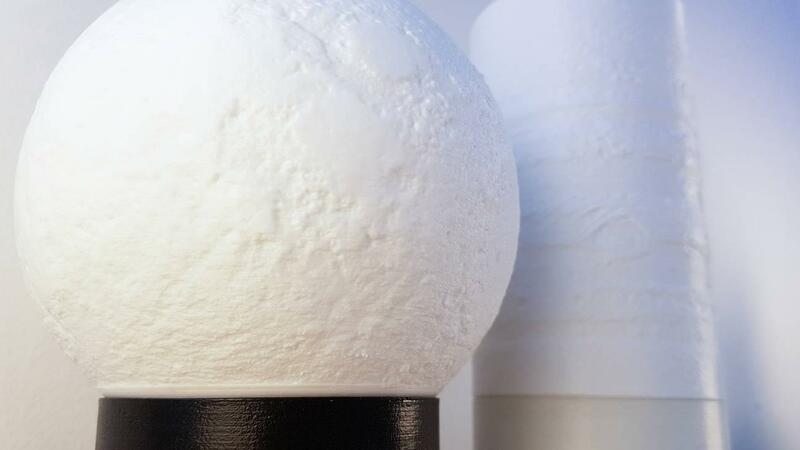 The manufacturing process involves a prototype printed in 3D, used to create a silicone mold, which will then be used to pour the concrete to obtain the base of the lamp. After drying and demolding, the concrete is painted and then varnished. 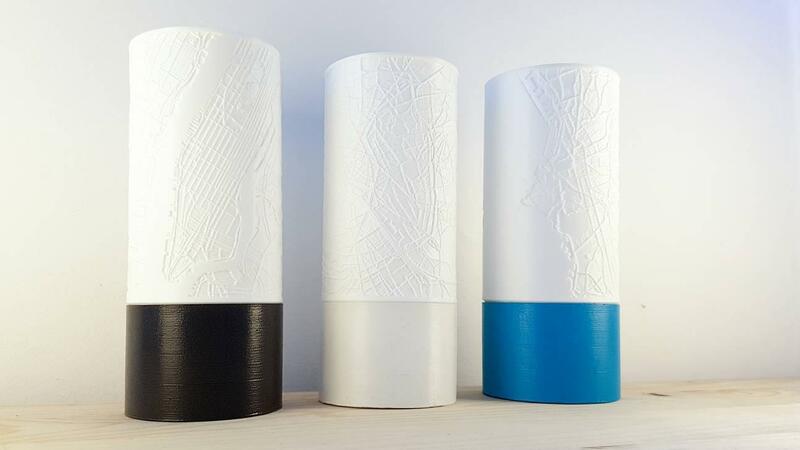 The wire and the socket are then put in place thanks to a custom support also printed in 3D.